Salt Flats, there is a myriad of terms used to describe the experience. Common words like magic or mystical or speed heaven are almost immediately used and usually accompany a kind of far-off gaze that comes over the face of the person relating their experience. It’s as if this specific part of the planet was put aside just for speed addicts. For 100 years we speed addicts have pushed, pulled, carried or driven our mechanical mounts out to one of the strangest places on earth, where little survives and even less is welcome. Here on The Salt we’ve sought the ultimate prize of speed, shooting first for that magic 100 mile per hour plateau but today taking all sorts of racing machinery to 200, 300, 400…heck, let’s just go for 500 or 700 miles per hour. 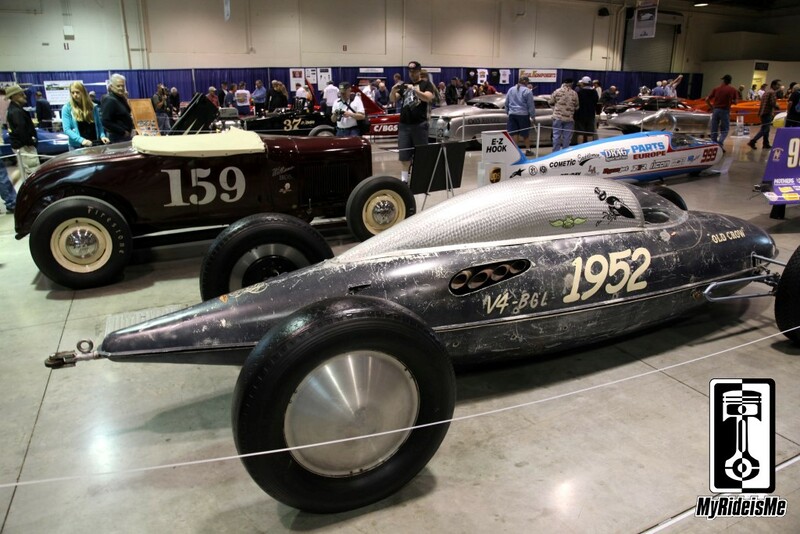 At Bonneville, though the limitations can place great obstacles in front of the speed demons that shoot across the shiny white surface, we continue to return searching for just one more chance to shatter a record. 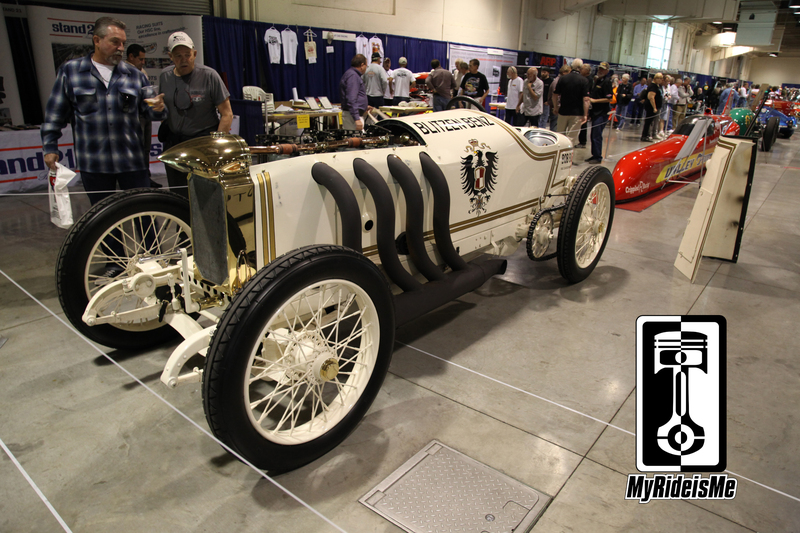 The 1914 Bonneville runs of Teddy Tetzlaff at 141 miles per hour in the Blitzen Benz will be celebrated again this August at Speed Week when the car returns to The Salt Flats. 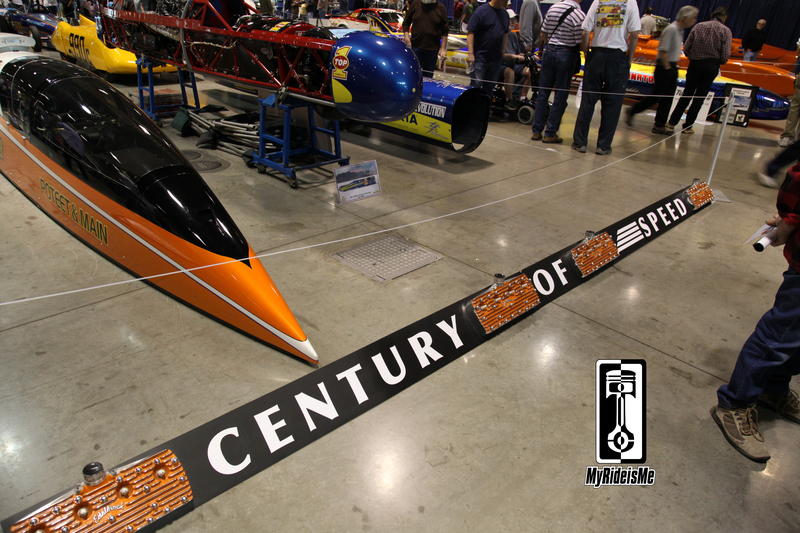 The event also acted as a backdrop for the release and first public introduction of the book, “Bonneville A Century of Speed” which was produced to not only celebrate this incredible century, but to also provide a vehicle for much needed fundraising that is ongoing to help replenish the rapidly depleting salt surface. Ron Main, well known for his own Bonneville racing history, took up the challenge of spearheading the fundraising effort and on the final day of the 2014 GNRS presented a $40,000 check, along with book author David Fetherston, to the Save the Salt Foundation to continue the process of repair and reclamation of this historic racing venue. Main donated 2000 books to the foundation for the initial offering and will continue to provide an income flow through book sales. 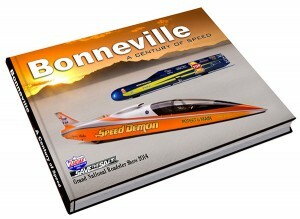 The book can be purchased at http://www.bonnevillecenturyofspeed.com/buy-the-book/. What began as a 50 page effort, the book turned into an amazing collection of 300 pages of images, history and great stories from the 1914 Bonneville runs of Teddy Tetzlaff at 141 miles per hour in the Blitzen Bens to George Poteet’s 439.024 mile per hour wheel-driven, piston-engined car record in the Poteet and Main Speed Demon. 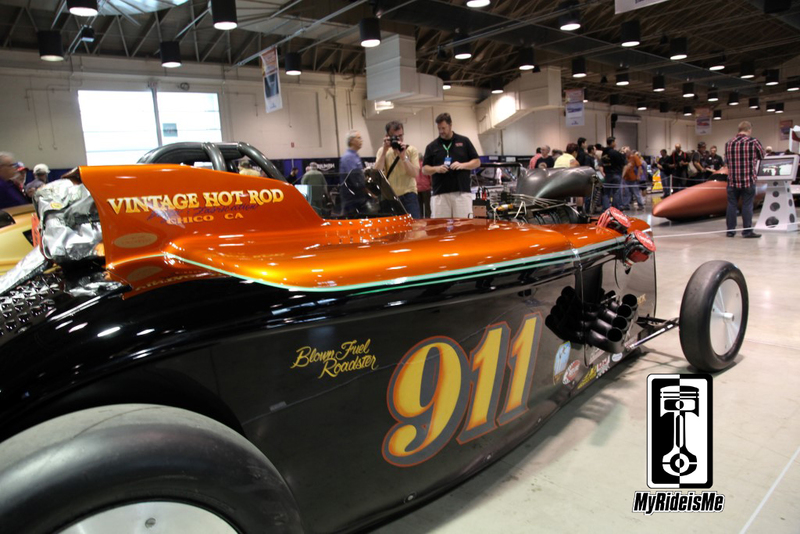 Main is determined in his effort to get the Bonneville Salt Flats back to what he remembers when he first caught “salt fever” 25 years ago. The salt flats have suffered severe damage over the years, shrinking its original size from over 90,000 acres to its current 19,000 acres with mud showing through the salt crust in many spots. The salt layer has diminished from 4 feet in depth in 1960 to today’s less than an inch thickness primarily from mining operations which have drained away valuable concentrations of potash and magnesium which resides immediately below the salt surface. This mining virtually washed away much of the salt layer until an initial preservation effort began in 1997 to pump an estimated 10.3 million tons of salt back onto the flats. 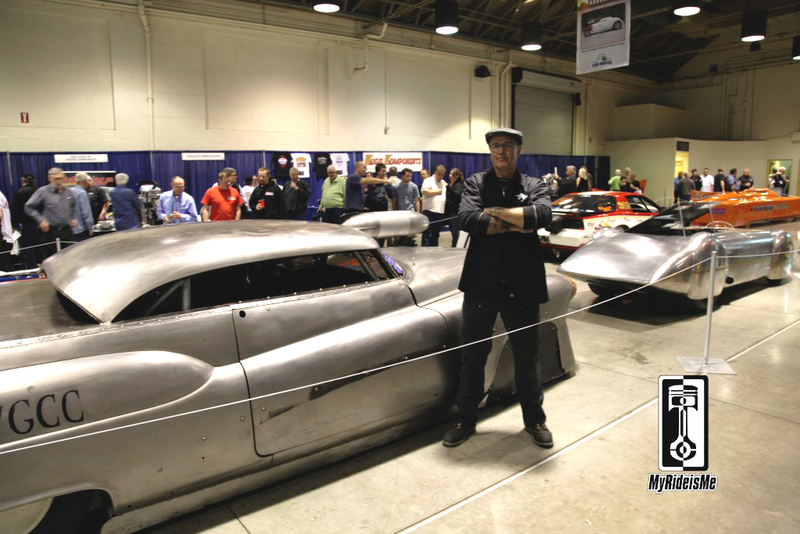 Jeff Brock, of Rocket Head Studios, with 1952 Buick record holder, Bombshell Betty. The newest efforts expect to put down 1,120 tons of dry salt starting from the frontage road immediately adjacent to the International course along 1-80 between the current start lines and mile two of the course. This particular section is now reportedly made up of gypsum and mud with a very thin layer of buckled salt over the top. The intent is to test this method of repair so the SCTA sanctioning body observe and evaluate the process and determine if this will work in the future as a repair process on other parts of the course. To get a book yourself and contribute to Saving the Salt for your kids to see, click here Century of Speed or on the book!